Choose your Kentucky Speedway Driving Experience or Ride Along Experience to begin booking. If you’re giving as a gift or are unsure about a date, you can purchase a gift voucher and you or the recipient will have 90 days to return to the website or call 855-227-8789 and book a date. 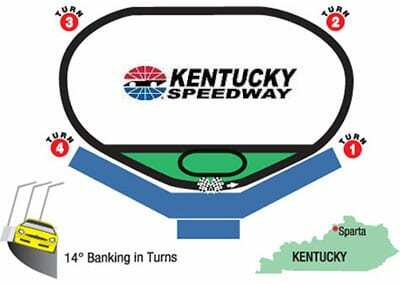 Kentucky Speedway is a 1.5 mile D-Shaped Oval speedway located in Sparta, Kentucky. Kentucky Speedway has hosted ARCA, NASCAR and Indy Racing League racing annually since it opened in 2000. Before the first Sprint Cup Series event in 2011, Kentucky Speedway expanded it’s capacity of the track from 66,000 to 107,000 total seats. The speedway also reconfigured pit road, and added 200 acres of camping space. 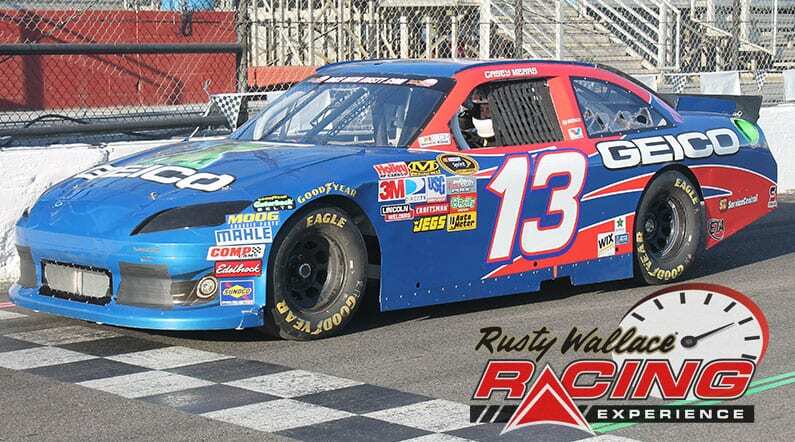 On July 1, 2011, nine days before it’s inaugural Sprint Cup Series event, it was announced that the race was a sell-out and Kyle Busch emerged as the winner of the first race. We send out email promotions for individual tracks as well as nationwide. If you would to be included for future promotions, please enter your email below. You will receive any email promotions for Kentucky Speedway as well as Nationwide promotions. You can opt out at anytime. If you would like to receive specific promotions for any other track, please visit that track’s page and submit your email for that track.